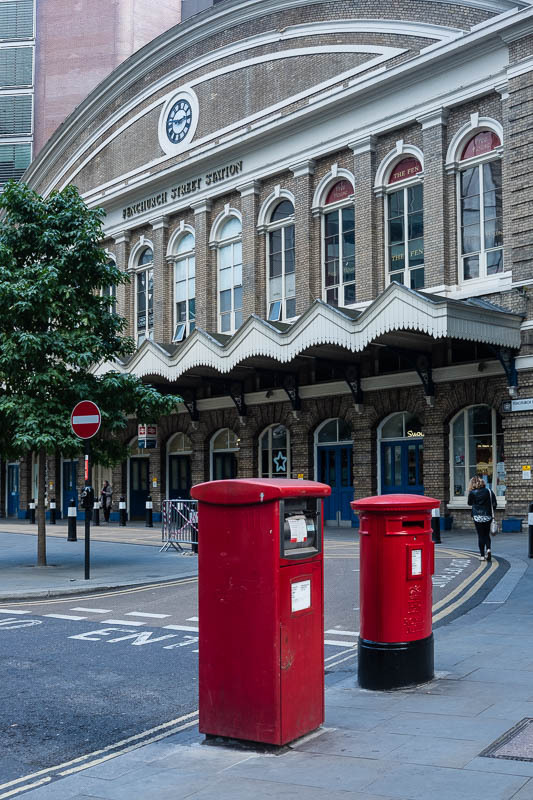 Fenchurch St Station in the city of London was built in 1841 and since 1972 is Grade II heritage listed. One of the smaller stations trains services from here travel to South Essex all the way to the sea. The building is quite attractive. I imagine it gets very crowded when the trains arrive. Nice framing with the red boxes ! beautiful. I love this kind of buildings from art Deco. Your image does cry out "London!" but I admit that I have never heard of Fenchurch St Station.